Studies released on 4 July 2012 in the international peer-reviewed journal Molecular Nutrition and Food Research (MNFR) based in Germany address the effects of foods such as oats, virgin olive oil, and ruminant trans fat on atherosclerosis or hardening of the arteries. An article by Swedish researchers Dr Kristina E. Andersson and Per Hellstrand reinforces that oats are a “heart-healthy” food. Previous studies have convincingly shown that oats can lower cholesterol levels and are useful in the prevention of heart disease. This study found that, in addition to lowering LDL (the “bad cholesterol”) levels, by binding bile acids, oats have an anti-inflammatory effect which could ease inflammation caused by high cholesterol levels. 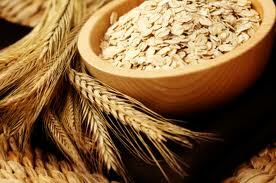 Oats also displayed an antioxidative capacity, which could lower the risk of hypertension, diabetes and obesity. The study noted that after hypertensive patients had been consuming oat cereal meals, 73% of them could have their blood pressure medication lowered, compared with 42% in the control cereal group. A study, from researchers at the University of Zaragoza in Spain, examining the “protective role of virgin olive oil against atherosclerosis” has said its results were ‘inconclusive’. Whether olive oil prevented hardening of the arteries, or was any healthier for the heart than polyunsaturated fats, such as flax seed oil, “remains to be seen”. Researchers found that virgin olive oil protected against hardening of the arteries in mice and hamsters, but produced a contradictory result in rabbits. The effect of olive oil on atherosclerosis in humans is “yet to be fully validated”. New experiments are also required to compare the efficacy of virgin olive oil versus polyunsaturated fatty acid containing diets. Researchers from the St Boniface Hospital Research Centre and the University of Manitoba in Winnipeg, Canada, scrutinized the recent studies about trans fat and including the health effects of ruminant trans fat and concluded that “there is now overwhelming evidence that trans fatty acids (TFAs) have deleterious effects on our cardiovascular health,” the study concluded.